Information on eating dinner and breakfast in the restaurant. Dinner　Starts at 6:00 p.m.; last orders taken at 8:00 p.m.
Breakfast　Starts at 7:30 a.m.; last orders taken at 8:30 a.m.
For those who desire it, the option of dining in-room is available (for a maximum of five diners). There is no charge for children who do not need food to be prepared. 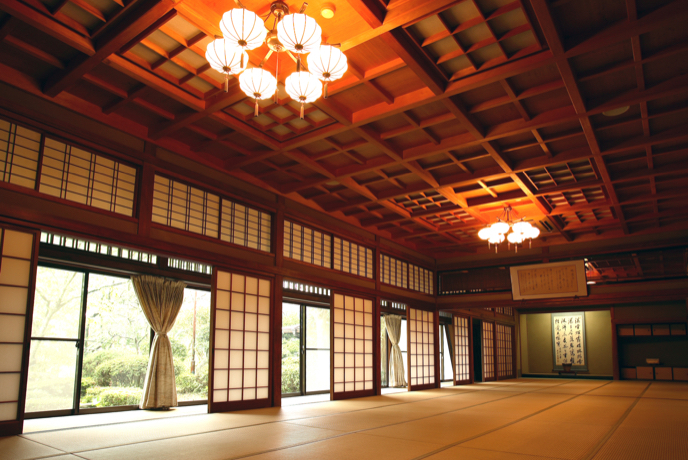 For large numbers of people or for groups, dining in the medium-sized hall may be possible. Reservations made via the official website or by telephone receive the lowest rate. The hotel will transport you for free between the hotel and Takeo Onsen Station.